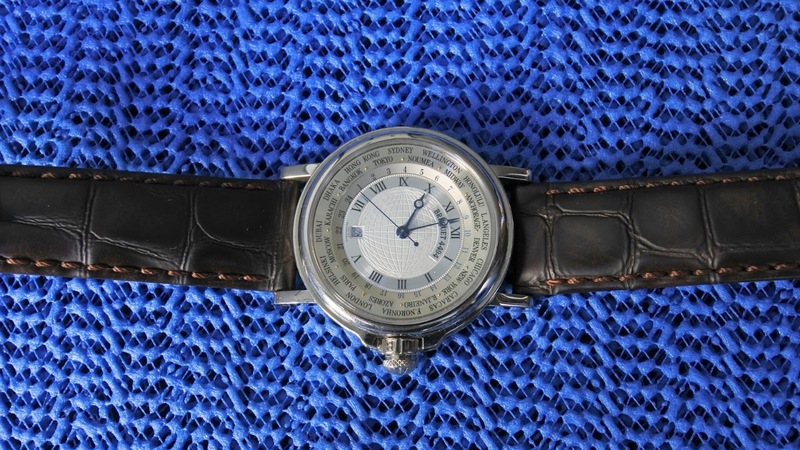 Bought a pre-owned Breguet 3700 World timer. Just got it back from a service in Switzerland via Swatch Toronto. The watch's minute hand loses about 2 minutes per day. The seconds hand runs correctly (-1 second/day).After testing, I have identified the issue; the date change at midnight. At 10 pm, the watch runs correctly. At 11 pm, it loses a minute. By midnight, it loses 2 minutes. The seconds hand runs correctly. After the date change, the watch runs correctly again. In the morning, the watch still has the 2 minutes lost at midnight, but no more than that. Everything else works fine, date change and world timer dial. So, what's happening? Anyone else had this experience?